My names Vroteier9 & I'm the new Swiss ambassador to Norway. Switzerland is only recently back on the map after signing the Flying Dove treaty with Slovenia. the Original treaty Guaranteed Switzerland Romandie but we recently negotiated to receive both Deutschschweiz & Graubunden in exchange for Romandie. I look forward to our two nations build friendly relations. If you have any questions about Switzerland feel free to ask & I'll answer as best I can. Current: Member of Assegai, Swiss vMoFA & Ambassador to SA,Poland & Norway. Former: 12x Congressman 2x Director of Mentorship, 2x Deputy Minister of Domestic Affairs, 3x SAGP Director of Elections, Ambassador to Swiss. But Norway doesn't have a cabinet at this moument, due to PTO. Our CP would like to extend his sympathy to Norway during this dark time. If we can help in any capacity feel free to let us know. Right now we only need fighting force to put us in to a union and keep us there. I'm sure we can send fighters to help Would you prefer it if the fighters fight more in RW or in Defense off Norway's current territories? Unfortunately Switzerland is currently caught in the middle between US & Poland war & will most likely mean that we won't be unable to provide assistance come Congress elections. Madame Guillontine (Vice President): Rican â€“ (S)he will make sure that the Presidential Palace is as spotless as possible, help run the country when I'm asleep, and make sure that I donâ€™t do anything stupid. Co-Minister of Defence: Uros95 â€“ He will take care of organizing full-scale liberation campaigns and any possible training wars. Co-Minister of Defence: Patar333 â€“ He has been President and many other cabinet positions in Austria for some time now, and I am glad that he will be joining Switzerland soon. His main job will be to help me reform the military system so that we can have an efficient state-run army. Deputy Minister of Defence: Hot Fever, Srog Norsktag - They will help out with any extra duties such as publishing daily battle orders or messaging soldiers. Minister of Foreign Affairs: bowen199 - He will work toward finding us more reliable allies, and take part in any foreign meetings which I am unable to attend. Deputy Minister of Foreign Affairs: Vroteier9 - He will help out with developing stronger relations with other nations, and also help research for possible allies. Minister of Finance: Jacques Cousteau - He has recently just moved from Ireland to Switzerland, but is well-equipped with financial knowledge. His main job will be to fix our current economy which is a disaster. Chairman of the Swiss Confederation Bank: F4uc0n - He has been keeping a watchful eye over our reserved money for some time now, and I do not question whether he will continue to do a good job or not. Minister of Interior: cooldude97 - He will take care of our immigration, which will include watching out for Political-Take-Over threats, as well as implementing the new immigration system for citizenship applications. Minister of Information: Nemkec - He will continue the great work of previous information ministers by publishing informative articles for new players. Archbishop of Geneva: jkli5 - He is the holiest of all the archbishops in the Guillotinist State of Switzerland. His divine preaching should emphasize the love of His Holiness for all disciples of the one true faith. 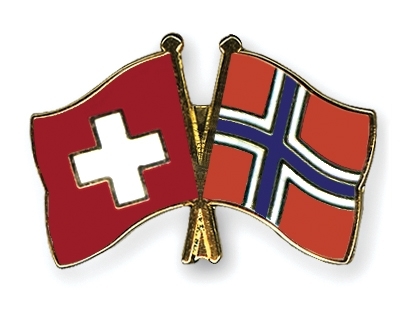 Our CP announced today that Switzerland will be pushing to Join EDEN after the Neutral stance has left us region less. I hope that the Cp elections when well for the People of Norway & that you were able to keep the PTO candidate out(if their was one?). Following our decision to join EDEN(which is viewed by some as the main reason new talks with Slovenia failed), Slovenia prepossessed us as NE & we did so to in return. We enjoyed some initial success liberating a few regions but have lost most battles with Slovenia & have been forced to rely on successful RW to get regions. We have also received a great deal off support from other EDEN countries through soldiers & also signed MPP's(Netherlands, Italy, Bulgaria, Cyprus, Turkey, Canada, Croatia, & France). MPP's with South Africa & Philippines are currently being voted on & will likely pass. We also wish Norway the best in PP elections & hope you can keep the PTOers out.